When Marc Aurel started his design career in 1990 the expression ‘street furniture design’ was little known among architects and designers. People were already talking about developing spaces and urban re-qualification, and the notion of street art had reappeared, but street objects still held a secondary place when designing public spaces. It was a detail and a background accessory to which little attention was paid. Project managers, architects and urban planners willingly delegated the task to subcontractors or technical teams. No one seemed to take these object into account in their projects. These objects are, however, designed to increase comfort in public spaces, whilst creating a strong identity and a perception of quality. The task could be cumbersome to landscape designers, technical studies agencies, architects, building companies and the sometimes even designers. The chosen designer imagined these ‘urban components1’ with inspiration from different elements of the overall project. The approach was largely based on his or her professional experience. The scope of the study depended directly on the, often limited, time and resources invested. This kind of disassociated approach had the disadvantage of offering a very specific and often limited vision. However coherent the objects, they revealed above all the functional and economic priorities which undermined the integrity of the project. Under these conditions it was often easier to opt for generic equipment from catalogues. In the absence of alternatives, some purchasing advisors chose this option, which was offered by a handful of urban furniture suppliers2. In contrast to this spontaneous and often clumsy management of the new, uncontrolled growth of agglomerations across France, cities were still weighed down by Haussmann’s imposing 19th century legacy3. This legacy included iconic street furniture that was, and still is, universally loved: the Morris Columns built in 1842 by architect Gabriel Davioud, the Wallace fountains carrying the name of their sponsor and designer that have been providing the city with water since 1872 and not forgetting the emblematic metro entrances designed by Guimard in 1900. In the 19th century, the industrial revolution greatly changed the face of French cities. It became vital to find a way to organise urban spaces and this gave rise to beginnings of modern urban planning. The development of Barcelona by the Catalan engineer Ildefons i Sunyer Cerdà4 in 1860, marked the city’s transformation from an old city to an industrial one. 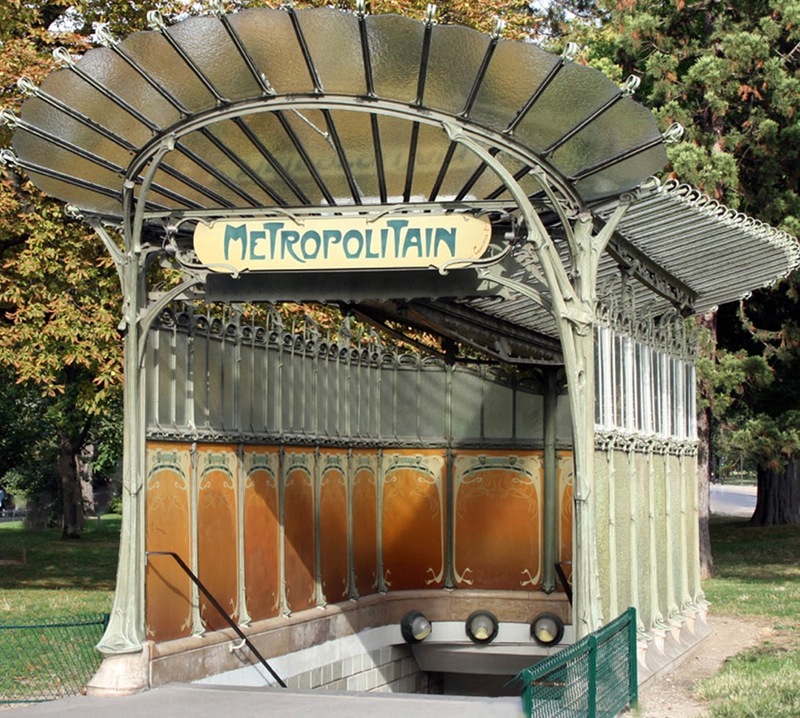 Like Haussmann, Cerdà drew on new sanitation theories, as well as integrating communication and transport networks. Urban furniture was used to decorate public spaces while also offering passersby a multitude of services. In 1889, the Austrian architect and historian Camillo Sitte claims to have laid the foundations of artistic urban planning in ‘City Planning According to Artistic Principles’. He analysed ancient cities to find a balance between empty spaces and buildings on a human scale. 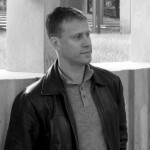 He advocated using curves and perspective to stage public life and enhance the relationship between individuals and institutions. These reflections did not extent to street objects, but set contours of a design approach favouring harmonious proportions. The British urban planner Ebenezer expressed his vision of the ideal city based on a community model joining the city and the countryside in ‘Tomorrow: A Peaceful Path to Real Reform’, 1898. The invention of the ‘garden city’ was, according to its creator, ‘an original combination of different proportions5’ capable of housing a new society. It is clear that individual well-being is primarily determined and influenced by a city’s organisation. Although street objects provide a direct relationship with citizens, there were no precise design recommendations as they are considered to be an adaptation of the overall design. In the 20th century, sensitive and decorative approaches to public spaces deriving from Renaissance models were replaced by a functionalist vision of the city6. This ‘machine-city7’ was useful, efficient and rational. Progressive urban planners8 divided space into localised functional areas with green spaces and linked by differentiated traffic lanes. 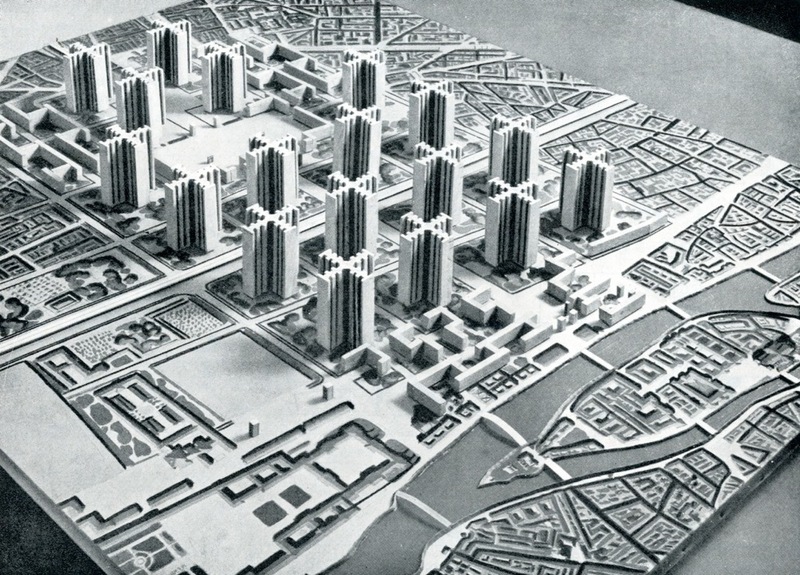 Following the ‘La Cité Industrielle’ (projet for an ideal city) by Tony Garnier9, Le Corbusier developed an urban redesign project for the centre of Paris in 1925, ‘Le Plan Voisin’. It offered a functionalist vision of the city, which moved away dramatically from the traditional city model. The geometrical design used new building materials such as steel, reinforced concrete and glass to create orderly spaces and functions that ensured the population’s well-being10. Unfortunately, the emptiness left between the monotonous and rectangular buildings stripped of all ‘superfluous’ objects or decoration left little room for the imagination. New ways of analysing social relations appeared in the social sciences and were at the heart of contemporary urban planning and environmental psychology11. By definition, public spaces are spaces everyone passes through and where people meet each other. According to the German philosopher and socialist Jürgen Habermas12, they are the context and setting for public debate. They are also a place of questioning. Empty spaces had been neglected for a long time in favour of buildings. They are at a crossroads between the different disciplines and professionals involved in constructing our cities that need to be brought together. This complex constantly evolving space had started to acquire strategic importance. In the early 1960s under new local regulations13, companies such as JCDecaux tried to harmonise urban design by offering a coherent range of public fittings14. However, it was not until the 1980s that innovative urban projects moved away from old fashioned and stereotypical visions of public spaces. 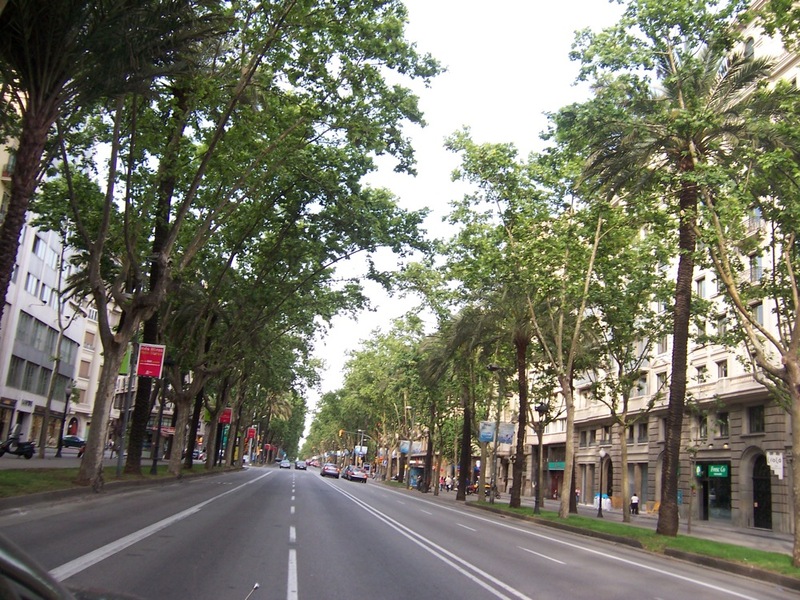 The urban renewal project implemented by the mayor of Barcelona, Pasqual Maragall i Mira, to prepare the city for the 1992 Olympics was an important catalyst. At the end of the dark years of Franco, this project to redefine the city of Barcelona designed by the architect Oriol Bohigas and the urban planner Joan Busquets was a kind of resurrection. Ambitious urban restructuring projects were unveiled and established as ‘project-programmes’ driven by civic values and economic strategy. Urban planners, architects and designers let their creativity run free to become, through global approaches, social diversity and synergies, a source of cohesion between places and their occupants. This consensual approach, described as ‘democratic urbanism’, dominated in many European cities including Lyon. In the 1990s, Lyon redeveloped public spaces to enhance the quality of life of its inhabitants. Redesigning shared spaces became a key political theme making the city a privileged site for research and creative experimentation. The city was no longer solely structured around the communication axes that linked the important buildings and were dominated by cars. Instead, it became a lived space with multiple networks. This was also the opportunity for city councilors to leave their mark on the city by asserting a unique urban identity. Ideas and methodology were extended as designers started to fully understand the important impact environment has on inhabitants’ well being. Pluri and interdisciplinary collaborations in the 1960s aimed to reconcile the object and the subject within the same scientific or creative approach, in order to recontextualise problems that had previously been separated by restrictive boundaries between disciplines. From then on, sociology and the humanities integrated the different elements of urban planning in a more comprehensive analysis of the expectations, stakes, relationships and implications. Together sociology, ethnology, anthropology, psychology, history, geography, linguistics, philosophy and other sciences offered their input in contextualising studies, which is vital for any urban planning project. Design, and its transversal approach at the meeting point between many disciplines, is interested in urban planning problems. It helps enhance the quality of a city through landscaping, street furniture, harmonising spaces, different surfaces, directional signage, heritage and transport. The role of designer begins where the landscape designer and architect leave off – the former defining the city’s general morphology and organisation and the latter giving the city its concrete form. Of course, urban design is not limited to defining land uses or linking the major exchange and travel axes. It is also about producing spatial compositions and giving recommendations in terms of organisation, which take into account both overall strategies and local constraints. However, these interventions usually take place at the level of the agglomeration, or at and best, in specific area15. They lack the immediate and familiar dimension that users encounter during their everyday wanderings. This confrontation creates a very concrete link between the individual and the city. The main advantage of design is that it controls users’ immediate environment at a very personal level to create a meaningful and harmonious atmosphere. Street furniture is a privileged point of entry for creating this intimate experience. Within vast public spaces, their reduced scale establishes a more direct, almost domestic environment, which constructs and reinforces the overall identity and enhances quality. 1/ Pierre Merlin, Françoise Choay, Dictionnaire de l’urbanisme et de l’aménagement (Dictionary of urbanism and development), PUF, Paris, 1988 (reimprinted 1996, 2000, 2005). 2/ JCDecaux, GHM, Eclatec, Sineu Graff, Comatelec etc. 4/ Cerdà presents his Barcelona development project in, La Teoria general de la urbanización y applicación de sus principios y doctrinas a la reforma y ensanche de Barcelona (Theories on urbanisation and its application to reform and expand Barcelona), published in 1867. 5/ Terms used by the patent office to describe a ‘garden city’. 6/ Enacted in 1933 by the Athenes Urbanism Charter’for IVe International Modern Architecture Congress under the aegis of Le Corbusier. 8/ Progressive architecture appeared in 1928 at the inaugural Modern Architecture Congress (CIAM) organised by Le Corbusier among others. 9/ Tony Garnier, Une cité industrielle (An Industrial City). Study for constructing cities, Paris, 1917. 10/ ‘Où l’ordre règne, naît le bien-être’ (‘Well being stems from order’), Le Corbusier, Vers une architecture, p. 38-39. 11/ Environmental psychology appeared in the 1950s, driven by architects and urban planners who wanted to offer users a pleasant environment adapted to their use. It ‘studies the relationships between individuals and their physical and social environment in both spatial or temporial terms.’ Moser, G. & Weiss, K. Espaces de vie. Aspects de la relation homme-environnement (Living Spaces. Aspects of man’s relationship with his environment), Armand Colin, Paris, 2003. 12/ ‘Bourgeois public sphere may be conceived above all as the sphere of private people come together as a public; they soon claim the public sphere regulated from above against the public authorities themselves.’ Jürgen Habermas, Public Space. Archeology of advertising as an element of bourgeois society, Payot, Paris, 1997. 13/ Relating largely to rationalising advertising. 14/ Promoted using advertising to ensure profitability. 15/ According to the sociologist Henri Lefebvre, architecture lies at a ‘microsociological’ levels, while ‘city planning is a macrosociological problem’, touching ‘society as a whole’. Does this mean that the designer stands at ‘nanosociological’ level? What is the future of street furniture?